The dance party took place on an open-air basketball court, the previously designated area for the outdoor outreach event. Photo taken by a team member who had retrieved a phone. 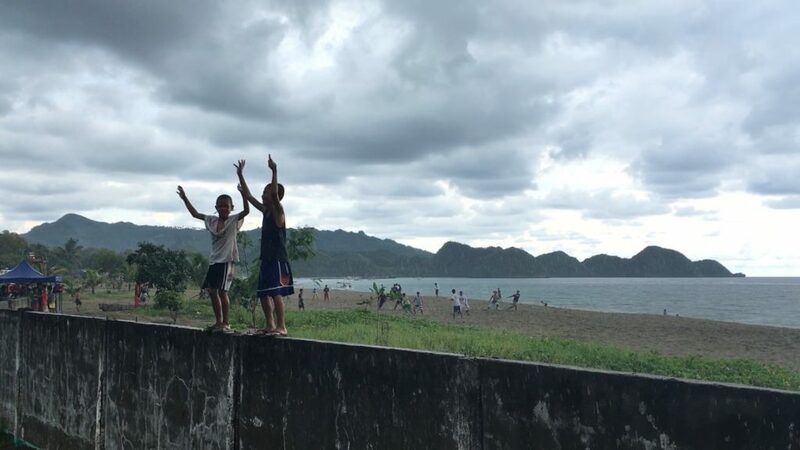 Two village children stand on a wall, dancing along to the music. Photo taken by a team member who had retrieved a phone. Whenever I travel, I film videos. I always pack my camera, because filmmaking has become my way of keeping a diary. Its entries each preserve little chapters of my life’s journey. But curiously, our brains seem to remember some things yet forget others. When I recall my missions trip to the Dominican Republic, I don’t remember the name of the village we visited. But I remember the little girl peeking out from a sheetmetal hole — only because I filmed and edited that moment into my travelogue. My most vivid memories are the ones preserved in my videos. Film not only immortalizes moments, but portrays memories in ways sometimes more profound in retrospect than they were in real life. It would seem counterintuitive to then leave my camera at the Jamont Hotel when I travelled to the Philippines. Granted, July was also peak monsoon season in Negros Occidental. I reluctantly concluded filming our outdoor village outreach program in Sipalay City for my trip recap wasn’t worth losing the rest of my documentation to rain. My decision felt justified when on the day, torrential rain comprehensively ruined our plans. With a defeated silence, our teams had retreated under shelter. 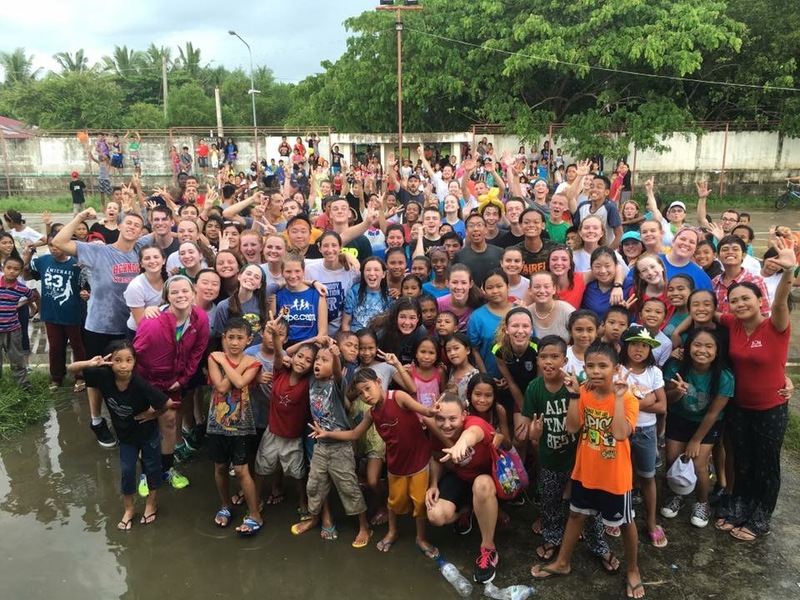 But in an attempt to raise spirits, members from my team resolved to go play in the deluge with some of the native children. I watched as they invited more villagers and volunteers to join in. Someone started playing music above the cacophony of falling water, drawing a large crowd. 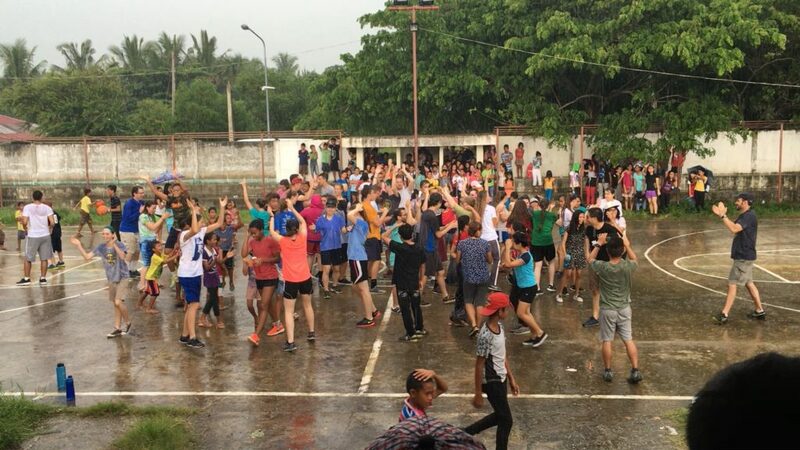 Within minutes, there was a spontaneous dance party amidst the downpour. Sheltered under dry refuge and watching the extraordinary scene unfold before my eyes, I wanted more than anything for my camera to capture the moment. I became keenly aware of my surroundings: the children’s laughter, the smell of lush, wet leaves, the tropical humidity. Yes, overwhelming senses — but it wasn’t chaos — it was a celebration of victory over circumstances we initially perceived as defeat. The beauty of it all taunted me. I learned I’m not called to just be a filmmaker who can capture or articulate stories around the world — I’m called to live out my own stories, too. My biggest regret would be forgetting to experience a moment because I was too busy filming it. The most vital responsibility for travelers and creators is to take action and advantage of precious moments. Film teaches me to invest in and understand the stories I see everyday. So perhaps when I do actually film something, the time I spend living and sharing in the story will help me tell it better. That day in the rain, I shared a story of unconditional love and uncontrollable joy by being present in the lives of those Filipino children. So even without a camera — when I escaped from shelter and into the crowd — I was living out the story I wanted to tell. Next Article Next Article Breathtaking Burials: Bogus or Believable?